At Grid4C we are focused on hiring and retaining the very best talent from around the world. Join our growing team as we leverage advanced AI and machine learning capabilities to transform the energy industry. Grid4C was established in 2013 by Dr. Noa Ruschin-Rimini with the vision of leveraging AI and machine learning to extract maximum business value out of smart meters and IoT devices. In a few short years we have scaled to 4 continents and are partnering with global utilities to analyze billions of meter and smart devices reads to deliver millions of predictions every day. As the #1 ranked predictive analytics solution provider in the energy industry, the future is very bright for Grid4C. Dr. Noa Ruschin-Rimini has more than 15 years of experience in the software industry. She held several positions in leading software companies, including Head of the Presales Department at Oracle, Sales Manager at IBM, and Business Development Director in several startup companies. Noa holds a Ph.D. in Artificial Intelligence and Machine-Learning from the Engineering Faculty at Tel Aviv University, specializing in Anomaly Detection and Predictive Analytics of Time Series. She has published papers for prestigious conferences and journals in the field of Machine-Learning, and held a lecturer position. 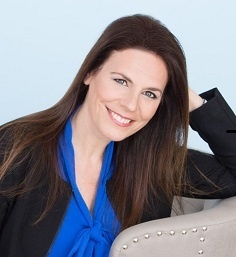 Her other areas of expertise include ERP, CRM, PLM and BI systems. 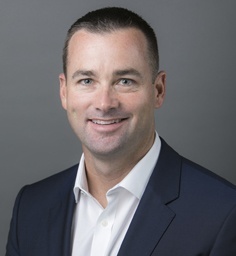 Shane leads Grid4C’s global sales efforts and has 18 years’ experience leading sales teams and delivering innovative solutions to energy companies and their consumers. Most recently, Shane led sales for Comverge, which was acquired by Itron in June 2017. Shane has also held sales and consulting leadership positions with Simple Energy, Echelon, and Accenture. Shane has an MBA from the University of Georgia and BBA in Information Systems from Baylor University and is passionate about how innovative energy solutions can transform the world. 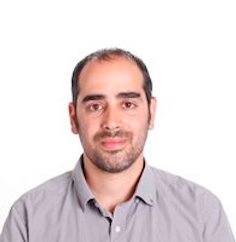 Eran has more than 15 years of experience in the software industry and over 8 years of experience in R&D management, both in large organizations and startups. 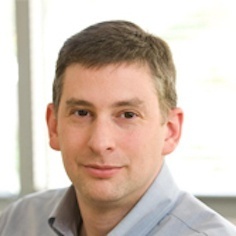 Eran specializes in Machine Learning in the area of anomaly detection and predictive analytics over big data and was responsible for the development of leading products of large software enterprises - from idea to deployment. Eran holds a B.Sc. in Computer Science and Mathematics and an MBA. He is also the author of several patents in the field of anomaly detection. Daniel is a Senior Software Engineer, with over 10 years of experience in the IT and software industry. He is an alum of the Israeli Defense Forces Software Development Elite Unit and served in an elite national security unit. Prior to joining Grid4C, Daniel was a senior software expert Hewlett-Packard, developing different products from web and mobile applications to big data analytics solutions. Daniel is passionate about technology and has been hacking at computers since an early age. Ilya is a Senior Software Engineer with over 10 years of experience in the IT industry. For the last 7 years, Ilya was a software expert at Hewlett-Packard Software division working on large scale business service management solution as well as big data analytics projects. Ilya holds a B.Sc. degree from the Computer Science department at the Technion, Israeli Institute of Technology, specializing in Software Engineering. Meir is a co-founder and partner at ICV, where he focuses his activities on solar, energy efficiency and smart grid technologies, with a particular interest in solutions for the developing world. He currently represents ICV on the boards of Panoramic Power, Nova-Lumos, Grid4C and Gro Intelligence. Prior to co-founding ICV, Meir served as CFO of Sentry Technology Group Inc., an Israeli-US startup. From 2000 to 2004, he worked at SG Cowen, a leading technology and healthcare investment bank, initially as an investment banker working on public and private equity offerings and M&A transactions, and subsequently as a research analyst covering defense and industrial technology companies. Meir began his venture capital career in the mid-1990's, working at Jerusalem Global Ltd., an Israeli merchant bank and consulting practice that was a leading player in the early days of Israel's venture industry. Meir holds a B.A. from Columbia College in Political Science and East Asian Studies. He speaks Mandarin Chinese. Mr. Andres Carvallo is the founder and CEO of CMG, Board Director at SGIP, Board Director at UTC’s Smart Networks Council, Board Director at Gridmates, Board Advisor to SGS and Advisor to several institutions and companies. 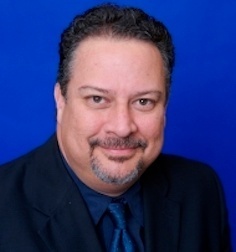 Mr. Carvallo is an award-winning engineer, speaker, author, and executive with 28 years of experience in the Energy, Telecommunications, Computer and Software industries. Mr. Carvallo is globally recognized by the IEEE as one of the early developers of the smart grid concept and technology. Mr. Carvallo defined the term Smart Grid on March 5, 2004. Mr. Carvallo co-authored the best selling book “The Advanced Smart Grid”, he has received 34 industry awards since 2005, and he is a popular speaker and guest lecturer. As chief technologist reporting to the CEO and a member of the Austin Energy Innovation & Opportunity Development Executive Board from 2003 – 2010, Mr. Carvallo championed Austin Energy’s industry-leading smart grid program design and implementation as their CIO. While at Austin Energy, Mr. Carvallo also co-led over $ 4 billion in investments into two wind farms, a solar farm, a biomass power plant, a natural gas power plant, two cogeneration power plants, two district cooling microgrids, rooftop solar, over 100,000 thermostats for load control, a fiber communications network reaching every substation, 100% smart meter coverage, a smart grid architecture, and all the smart grid infrastructure. Mr. Carvallo also architected the Pecan Street Project as its CTO from 2008 to 2010.